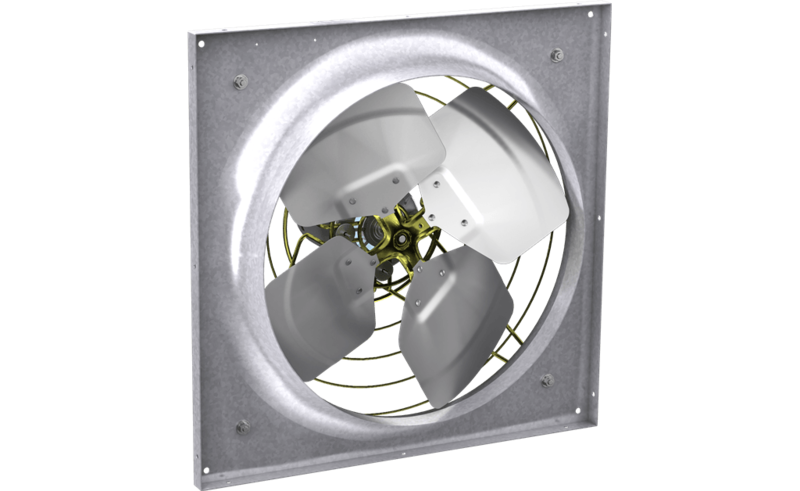 Model SE1, direct drive, sidewall propeller exhaust fans provide general ventilation in commercial and industrial applications. Units feature corrosion resistant aluminum propellers and are ideal for quietly exhausting air in schools, storage facilities, and manufacturing and assembly areas. Aluminum propeller for corrosion resistance.